For many local motorists, the biggest driving hassle is the work commute, usually on I-71 or route 42. But even those drivers who stay on the quiet streets of Strongsville are not immune to the risks of the road. Don't hesitate to let one of our Strongsville insurance agents help you find the right auto insurance based on your coverage needs. Nationwide members can earn incentives for safe driving each year through our Vanishing Deductible® program, but if you do need to make a claim, know that our Strongsville auto insurance includes a choice of qualified repair shops through the Nationwide On Your Side® Claims Service. Among the many resources offered to Nationwide members is our annual policy check known as the On Your Side Review. As the family wealth grows, so does the need to safeguard these assets. Talk to a Strongsville home insurance agent to make sure your policy is keeping up with your household priorities. But know that it's not just a household change that can affect your home insurance in Strongsville, Ohio. In 2011, many local homeowners were forced to add flood insurance to their policy when the states flood zones were redrawn. To strengthen other protections, we encourage you to consider add-on coverage options from Nationwide, such as our Brand New Belongings® and Better Roof Replacement® programs. Even this relatively quiet town still has it's fair share of consumer businesses and professional contractors. Both new and established companies need to manage their risk, and our Strongsville business insurance agents know how it's done. Let them explain how the commercial insurance products from Nationwide can cover all your liability and asset protection needs. Use our online tool to explore your options. 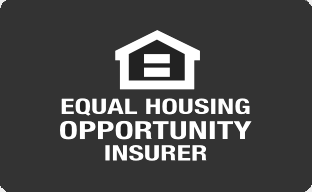 You can also buy a policy with this online tool, or you can ask one of our insurance agents any questions you may have.